Land Registry refers to June data. 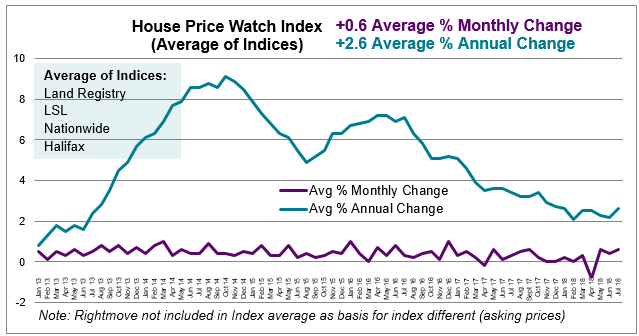 Other indices refer to July house price data. 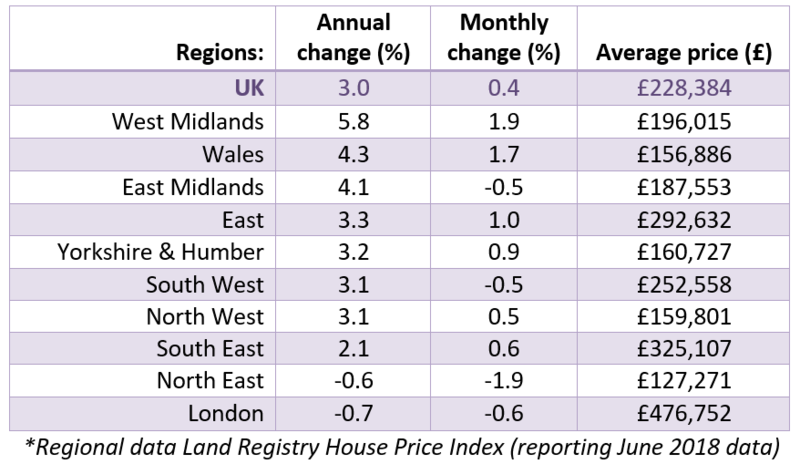 Regions with the biggest monthly and annual change in house prices include: The West Midlands and Wales. London (-0.7%) and the North East (0.6%) have experienced a fall in house prices over the past year. HomeOwners Alliance: “Nationally, overall activity is down with little pick-up in buyer demand or new seller enquiries. The ongoing shortage of homes available for sale is putting upward pressure on house prices. 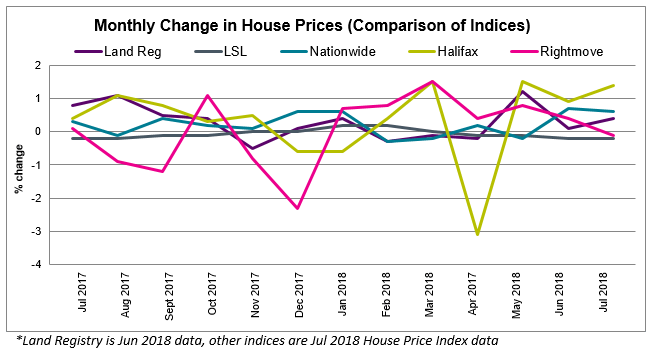 The market continues to reflect a varied picture regionally with the Midlands and Wales experiencing the fastest pace of house price growth, while London and the North East are experiencing a fall in house prices.